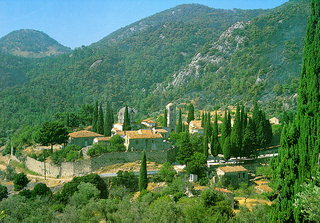 Nea Moni (New Monastery) is a monument of international significance. The catholicon (main church) is the most important specimen of the insular octagonal domed type of church, and is lavishly decorated with marble revetments and mosaics. The refectory (Trapeza) lies to the SW of the catholicon while the west end of the precinct is occupied by the imposing defence tower. The half-subterranean Cistern, which is preserved intact, dates to the 11th century. The actual cells were constructed later and many of them are almost completely ruined today. The monastery is enclosed by an irregular in plan, stone perimeter wall. 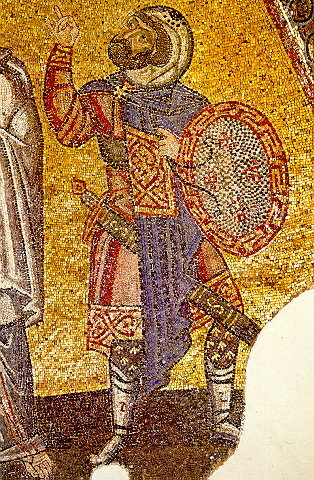 Nea Moni was founded in the middle of the 11th century, with a donation of the emperor Constantine IX Monomachos and his wife, Zoe. For many centuries it was the most important religious centre on Chios but was repeatedly destroyed in the 19th century. It was plundered by the Turks in 1822 and was severely damaged by an earthquake in 1881, which caused the collapse of the dome, the belltower, the apse of the sanctuary of the catholicon, as well as the destruction of many mosaics. 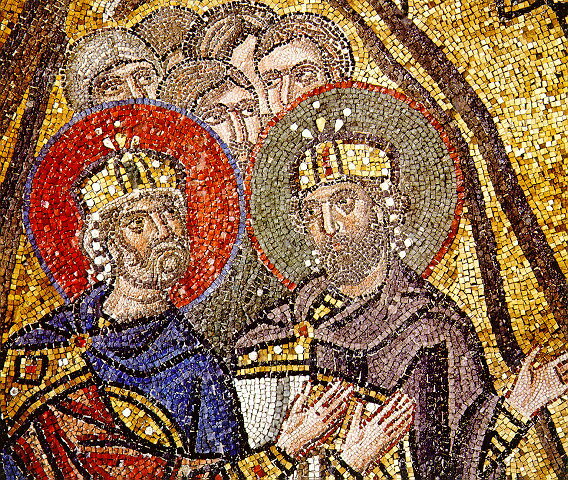 In modern times, many efforts have been made for the restoration of the monument and the preservation of the mosaics in the catholicon. 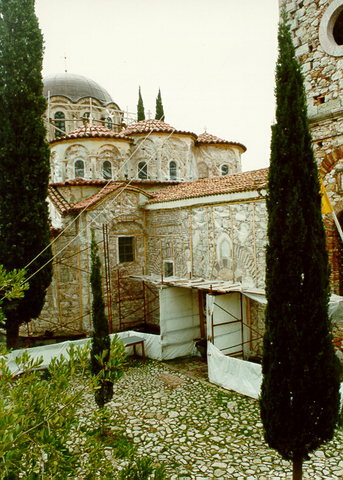 In 1857, the abbot of the monastery Gregorios Photeinos carried out extensive restoration work in the catholicon, and completely altered its external appearance. The dome of the church, which had collapsed in the earthquake of 1881, was reconstructed in 1900. 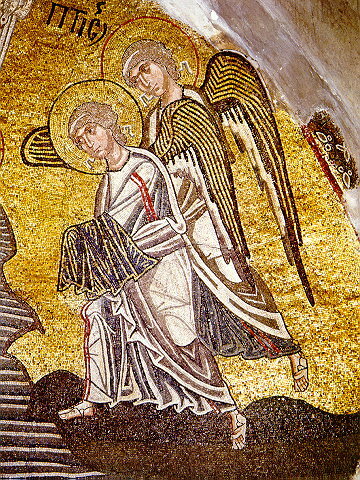 In the 1960's the mosaics were restored and since then, restoration has been carried out from time to time in several buildings of the monastic complex. Today the monument is used as a convent for nuns. A two-storeyed building of cells, located to the NW of the catholicon, has been reconstructed and now houses the Museum with the remaining treasures of the monastery. Nea Moni is included in the Catalogue of Monuments of the International Cultural Heritage of UNESCO. Since 1995, the 3rd Ephorate has been organizeing educational programs for students aged between 12 and 18.